Nakkertok has a number of rental cabins. They are set back into the woods and kept deliberately simple – built by volunteers, heated by wood, and, with the exception of Johannsenhus, lit by candles and lanterns. 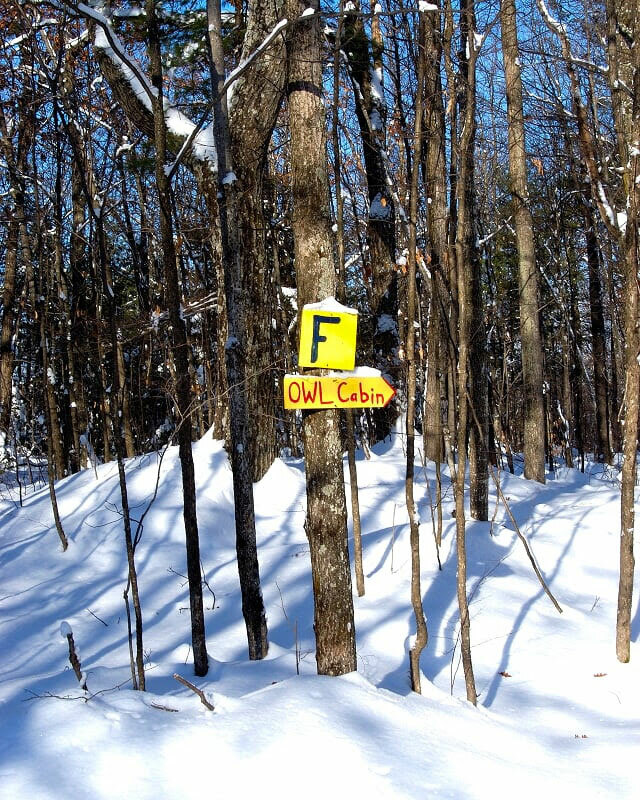 The OWL Cabin was built by the Van Wijks, Greg Joy, Gilles Berube, and several others, in November 2003. Ideally situated with a view over the Weber Pond towards the setting sun in the west. The OWL Cabin is almost entirely built from recycled materials recovered from a building project at OWL Rafting. It is just over a kilometer away from the Main Parking area, and is a perfect lunch destination or can be reserved for overnight use. Johannsenhus, in the field to the left as you drive up to the stadium, used to be our main clubhouse, built entirely by club volunteers. It was named (with his daughter’s permission) after Herman “Jackrabbit” Johannsen, who played a major role in establishing cross-country skiing in Canada and who died in 1987 aged 110! This Chalet is ideal for group evening or overnight use. The cabins are open to all members during the day. The first person to ski in and use the cabin is expected to light the fires. Please note that firewood is expensive and must be reserved for indoor use, not campfires. Important note: Those wishing to rent the Cabins at Nakkertok must be 18 yrs or age or older. In addition, there must be an adult (18+) present for the duration of the rental period. Please consult the rental agreement below and then click on the links to go to the appropriate Rental pages on Zone4.